The Culture Engine shows leaders how to create a high performing, values aligned culture through the creation of an organizational constitution. With practical step-by-step guidance, readers learn how to define their organization’s culture, delineate the behaviors that contribute to greater performance and greater engagement, and draft a document that codifies those behaviors into a constitution that guides behavior towards an ideal: a safe, inspiring workplace. Culture drives everything that happens in an organization day to day, including focus, priorities, and the treatment of employees and customers. A great culture drives great performance, and can help attract and retain great talent. But a great culture isn’t something that evolves naturally. 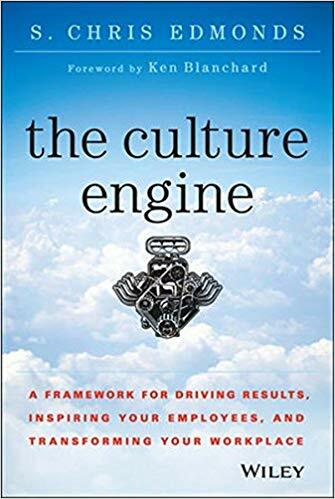 The Culture Engine is a guide to strategically planning a culture by compiling the company’s guiding principles and behaviors into an organizational constitution.